If you are a federal employee, you are probably wondering how you can calculate your pension upon retirement. Well I am NOT a federal employee, but a reader asked that question and I am here to tell you that the answer is…complicated (come on – it’s the government, of course it’s complicated). But never fear! I have waded through dozens of documents and antiquated and over-complicated FERS retirement calculators to bring you a simplified approach to approximating your pension payout. But first, a little level setting. FERS stands for Federal Employees Retirement System. It covers most civilian Federal government employees, and provides a pension annuity after you retire from your job. This pension is referred to as the FERS Basic Benefit. It is one part of the federal retirement plan, which also includes Social Security and the Thrift Savings Plan (kind of like a 401(k) for government employees). 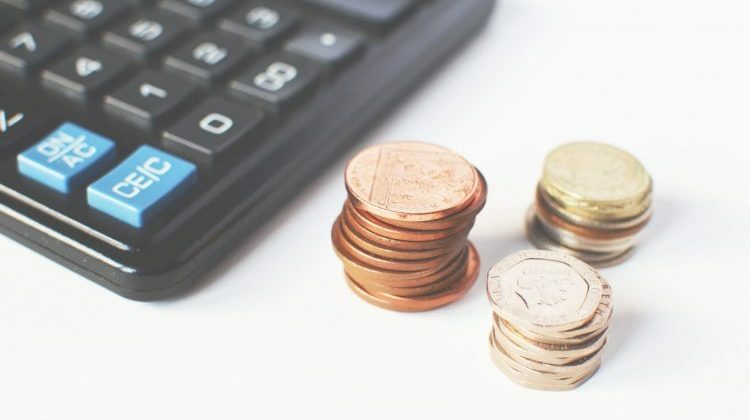 While the latter 2 components contribute to your overall retirement, the main goal of this article is to help you understand and calculate the FERS Basic Benefit (your pension). One of the main benefits of working for the government is that they still offer a pension AND contribute to a defined-contribution plan like the Thrift Savings Plan. If I could start my career all over again, I would seriously consider looking for a federal government job. While the pay may not quite match up with the private sector, the benefits are unparalleled. The FERS basic annuity formula is actually pretty simple, and is based on your salary and years of service. What is the High-3 Salary? The High-3 Salary is the government’s term for the average of your highest 3 years of base pay. It is usually your last 3 years of employement, but could be any consecutive 3 year time period when you had the highest pay. So John would be eligible for a $20,000 annual annuity at retirement. The basic formula seems pretty easy, but there are a lot of exceptions or modification depending on retirement age, years of service, and when you leave your job. There are also special provisions for certain jobs such as Congress or air traffic controllers, but we won’t even get into those! If you want the full excruciating detail, you can see the official documentation at the Office of Personnel Management’s website. So let’s talk about the modifications to the basic benefit calculator. First up is eligibility – are you even able to take a pension? A lot of people mistakenly assume that you have to work as a federal government employee for 20 or 30 years before you are eligible for retirement benefits, but this is not true. When you are eligible, and the amount of benefit you are eligible for is a little bit of a tricky calculation, but here are the major components. The minimum retirement age (MRA) is the age at which you can retire with benefits. Without going into too much detail, your MRA is between 55 and 57. 55 if you were born before 1948, 57 if you were born after 1969, and a sliding scale in between. But wait, there’s more! You didn’t think it was quite that easy did you? Depending on your years of service, you may be eligible for immediate retirement or deferred retirement. And years of service also determines whether you receive the full benefit, a reduced benefit, or even no benefit. If you have less than 5 years of service, too bad so sad, you don’t get any benefit. That’s the easy case. Let’s look at the other scenarios one at a time. If you meet one of the following conditions, you can apply for an immediate retirement benefit (that starts within 30 days from the date you stop working). If you retire under the last provision at your minimum retirement age, and have more than 10 but less than 30 years of service, then your retirement benefit is reduced by 5% for each year you are under the age of 62. So, for example, if you were 57 and met the MRA requirement, but only had 15 years of service, your benefit would be reduced by (62 – 57) * 5% = 25%. If you leave federal government employment before retirement age, but have at least 5 years of service, you are eligible for deferred retirement. Your payout would not begin until you reached your eligible retirement age (either MRA or age 60+). The same rules apply here as for the immediate retirement option, you just get to pick when that starts at some point in the future. So if you only had 5 years of service but chose to start taking retirement benefits at your MRA of 57, you would received a reduced benefit as described above. If you had 20 years of service and started taking retirement at age 60, you would get the full benefit. In addition to your initial pension payment, every year it will be adjusted for cost of living. The cost of living adjustment (COLA) is based on the Consumer Price Index, and should generally fall in the 1-3% range. The purpose is to adjust your pension to keep up with the rising costs of housing, groceries, transportation, etc. so that you can continue to live comfortably in retirement. In most cases, if you participate in the FERS system during your employment you are also eligible to collect social security. So in addition to your pension you will also receive a social security annuity benefit starting as early as age 62. To calculate your social security benefit, I recommend using the calculator on the Social Security Administration website. It is also a good chance to check and make sure that the earnings they are reporting for you there are correct. Related: Recommended Retirement Savings by Age – Are You Saving Enough? 1. Do you have at least 5 years of service? 2. Are you retiring at age 62 or older with 20+ years of service? If no, then continue to the next step. 3. Are you retiring at age 62 or older with 5 – 19 years of service? 4. Are you retiring at age 60 or older with 20+ years of service? 5. Are you retiring at the Minimum Retirement Age or older with 30+ years of service? Remember, the minimum retirement age is between 55 and 57 depending when you were born. 6. Are you retiring at the Minimum Retirement Age or older with 10 – 29 years of service? If no, then you would not qualify for an immediate retirement. You could take a deferred retirement by waiting until a later age to begin taking retirement benefits. Pick an age when you would like to start taking retirement benefits and go through the questions again. Let’s run through a few examples of using the steps above to calculate your retirement benefits. Looking at the FERS Retirement Calculator steps, she would answer Yes to #1 (barely), and No to everything until #6. So she is eligible for a reduced pension. Not too bad for only working 5 years! I hope this has been helpful in showing that the basic math behind the FERS retirement calculation is not that hard. But there are a lot of factors to take into account. If you are seriously looking into retiring from the federal government, this is a good starting point to estimate your pension. But I must stress that I am not an expert on the FERS retirement system! Like with any retirement plan, it’s great to start with a ballpark estimate, then begin working through the details with your HR department or another professional. 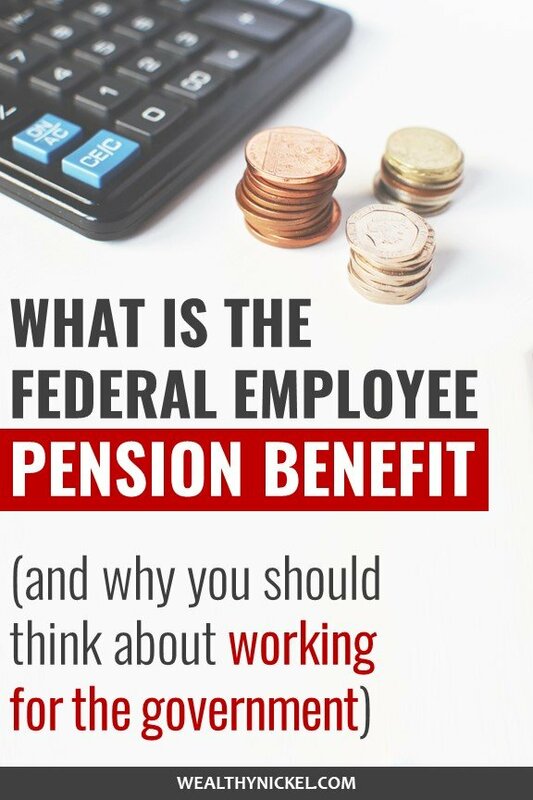 If you read through this whole article and are NOT a federal employee, then you are either a math nerd or are seeing the light one of the major benefits of government employment – the pension system. For anyone looking to secure their retirement, I think working for the government for some portion of your career could be a good fit if you have the right skills. I know I’m looking into it now! Andrew blogs about all things personal finance, and has a passion for helping people pursue financial freedom through saving money, making money, and building wealth. He documents his family's journey to financial independence through side hustles while raising 2 kids on a single income. Andrew highly recommends Personal Capital for tracking your expenses, budgeting, and managing your net worth. It has many useful tools to help you on your path to financial freedom! I like how you talk about being at the minimum retirement age before you can begin to calculate how much the funds are going to cost in order for you to be able to have a nest egg to look forward to in the future–especially if you’ve worked at least five years or more. While there are certain factors that would push for early forced retirement or other things, it’s important to have a nest egg started on so that you can enjoy the golden years after having worked your entire life. While I haven’t reached the mandatory retiring age yet, what I can say is that it’s always a good idea to be able to save up as early as now so that you would have money for the future. 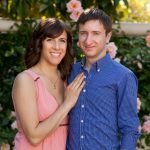 how does VERA/VSIP play into this? I am 52, have 22 yrs total gov time, avg base+ locality is 50K/yr and am going to be offered 40K VERA/VSIP soon.